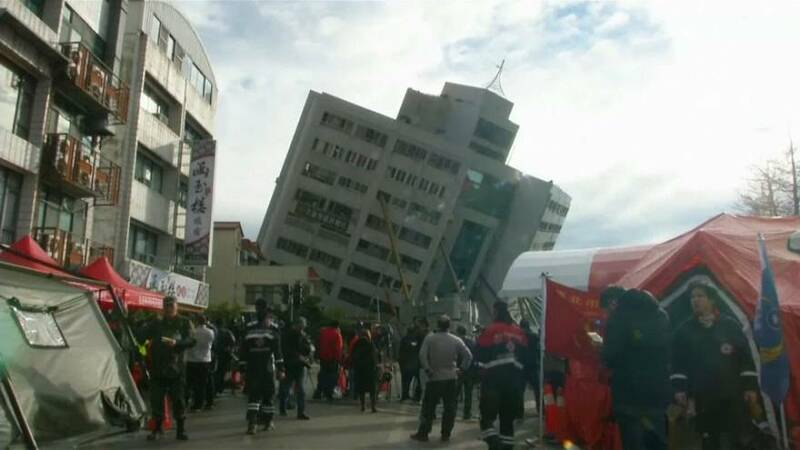 Rescue efforts after a devastating 6.4 magnitude earthquake that rocked Taiwan's tourist area of Hualien have been hampered by more than 200 aftershocks as emergency services personnel comb through rubble searching for survivors. Helmet cam video footage show rescuers searching an apartment in the 12-storey residential building tilting at a 45 degree angle as a siren went off warning of an aftershock. Rescue operations started to wind down on Friday (February 9), with the death toll at 10 and seven people still missing. The government said extreme displacements at the building were making the search for survivors difficult.